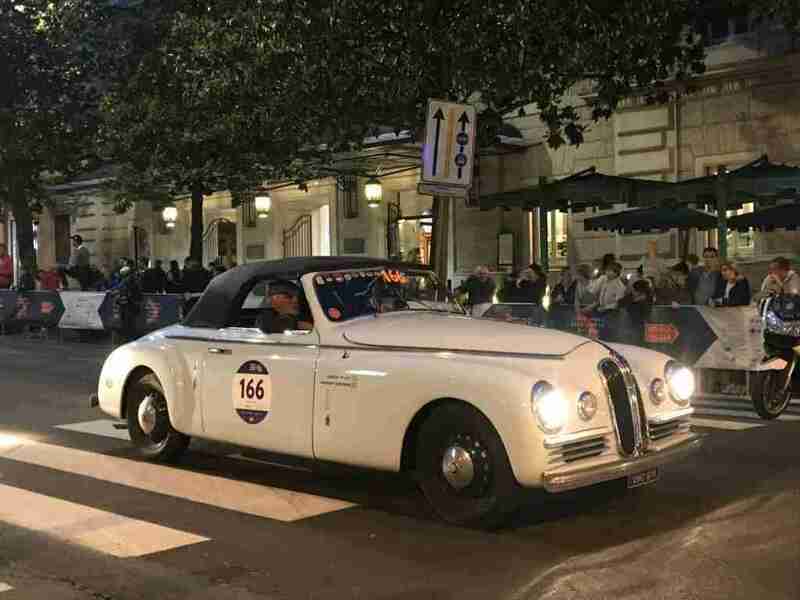 The Mille Miglia, a vintage car race that makes a loop from Brescia to Rome each May, has been on my radar for almost a decade. 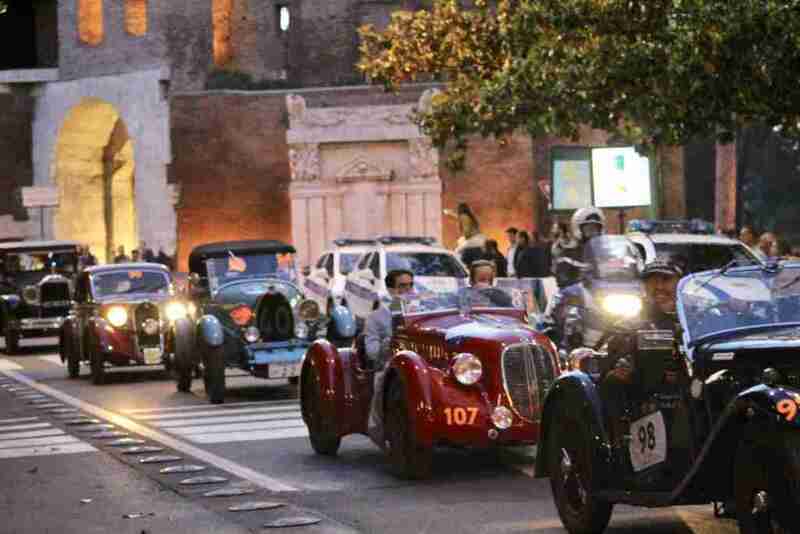 This year, I finally got to see the spectacle as the cars paraded down Rome’s Via Veneto. 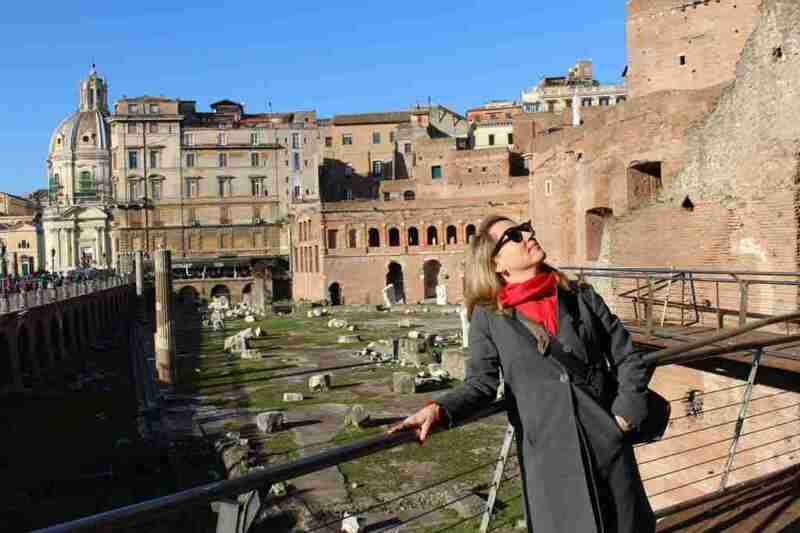 As promised, here are a few videos that I took during the Via Veneto viewing. 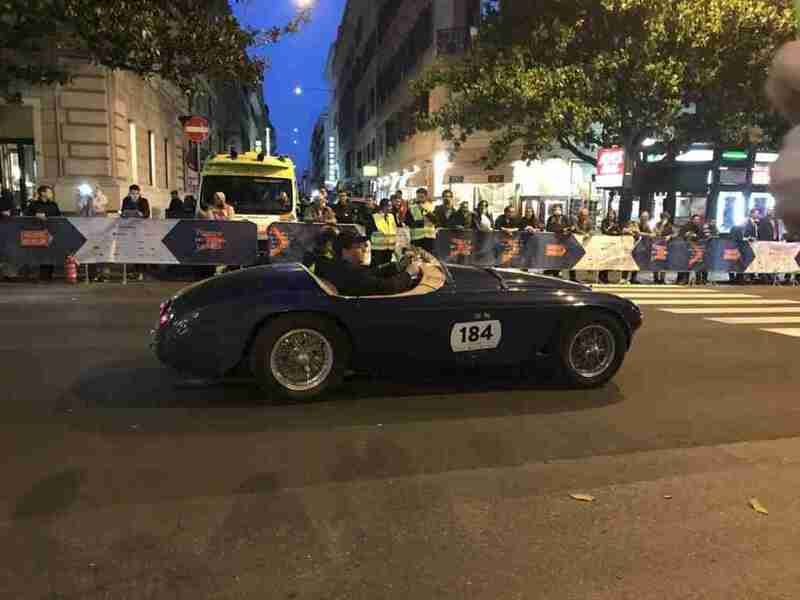 The cars began entering Via Veneto (from the north side via Villa Borghese) around 20:15 and continued for at least two hours. 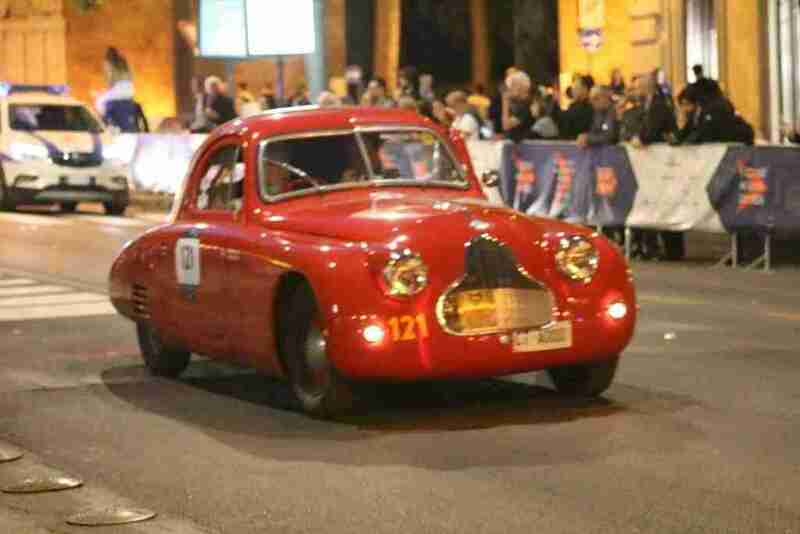 The event was mostly a masculine affair, but there were at least a dozen female co-drivers/passengers by our count. Now you know the context for the comment “There’s another woman” in the following video. 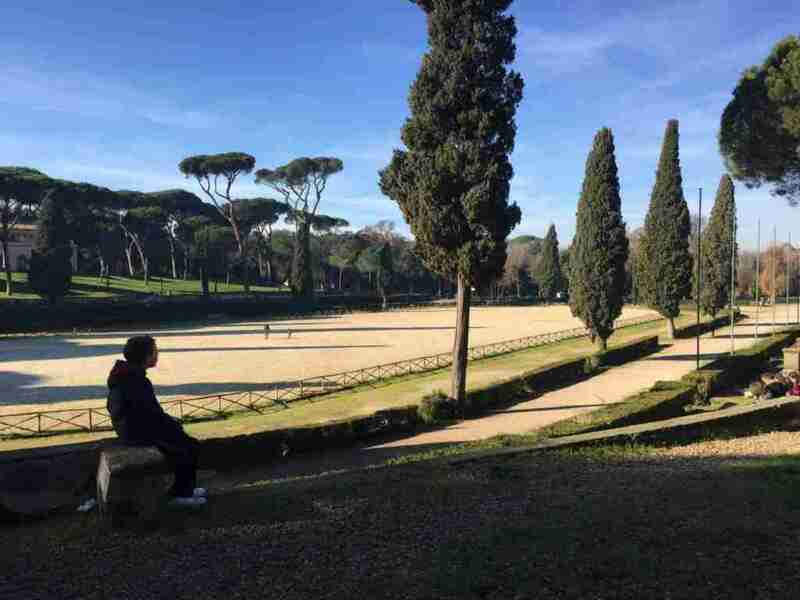 Outside the Aurelian walls is a road in the Villa Borghese that leads into the Via Veneto. 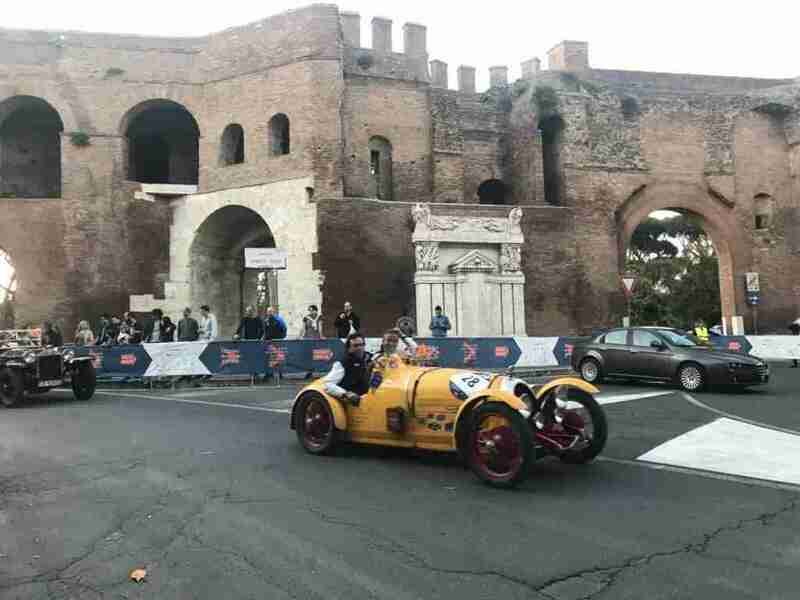 We moved up the parade route to the entry point as the night drew on in order to get a better view of the cars yet to enter the walls. One thing I hadn’t bargained on when seeing this lovely stream of antique autos is just how nauseating the smell of fuel would become. 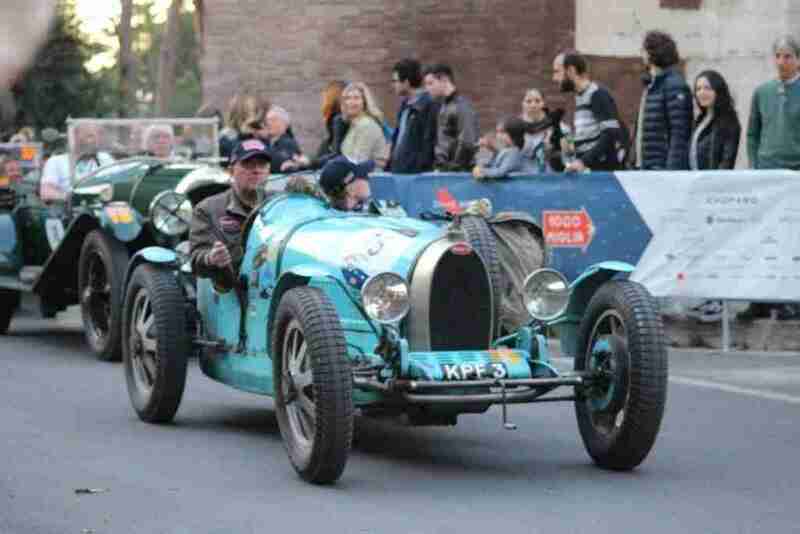 These cars are beauts, but they certainly pollute. 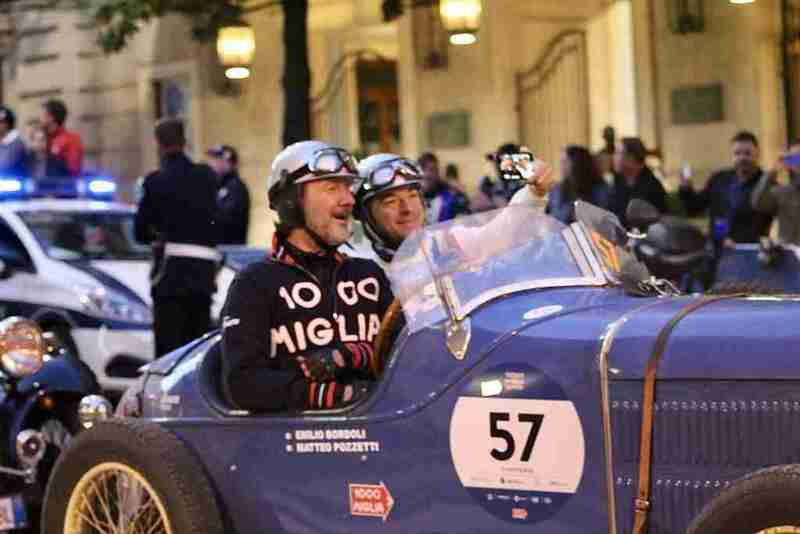 I am so glad I finally made it to the Mille Miglia and I would recommend this event to anyone visiting Rome in May. 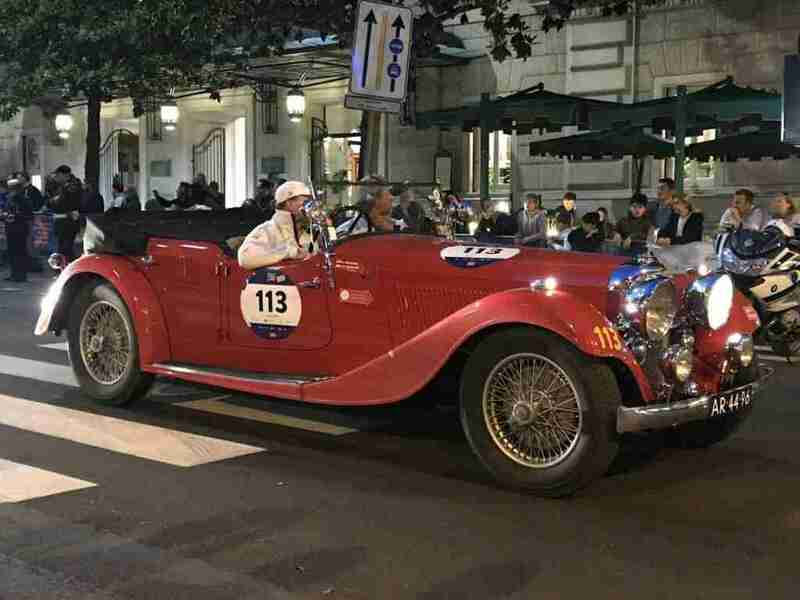 To learn more about the Mille Miglia, the cars, the race, and its history, check out the Mille Miglia website. That is right up my alley! Thanks for bringing it to my attention. 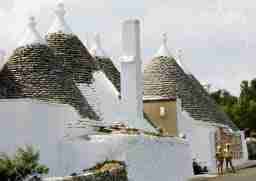 Prego! It’s really cool. Hope you get to catch it next year.